This beautiful and touching hymn is often sung in Mormon services, but it was actually written by a Congregationalist and Methodist minister, Jeremiah Rankin, who was an African-American and the first president of Howard University. Now the word of the Lord came to Jonah son of Amittai, saying, Arise, go to Nineveh, that great city, and proclaim against it, for their wickedness has come up before Me. But Jonah rose up to flee to Tarshish from being in the presence of the Lord and went down to Joppa and found a ship going to Tarshish. Since we have just read two fairly dense New Testament theological books — 1 Peter and 1 John — I thought it would nice to have something more fun with more narrative to it. So: Jonah and the Whale! Jonah is actually considered a minor prophet, and his book appears in that long list of twelve rarely read books, with hard names, at the end of the Old Testament (rather than in the historical section or, like Job, in the books of wisdom). His name and story have become part of the widespread culture and is well known in two contexts: First, simply as a person who was swallowed by a whale and lived; and second, among sailors, as a person who is a jinx when on board a ship. Other minor prophets are at the opposite end of the spectrum: Who, other than the most dedicated Bible scholars, can tell you anything about Habakkuk or Nahum, or even recognize their names? That Jonah was a historical character is evidenced beyond question by the reference to him in 2 Kings 14:25: "Jeroboam restored Israel's border... according to the word of the Lord... which He spoke through His servant Jonah son of Amittai, the prophet from Gath-hepher." The two place names mentioned are also historically known. The first, Nineveh, is the subject of a rather heartwarming lesson for all the atheists and skeptics who claim the Bible is a work of fiction and disproven by science: in this case, archeology. In spite of the fact that Nineveh is called a "great city" three times in the Old Testament (Gen. 10:11, 12; Jonah 1:2; 3:3) and once in the Apocrypha (Judith 1:1), critics long pooh-poohed the claim. When the walled city was finally found and excavated, it measured less than three miles across. That sparked cynical claims that the author, Jonah, did not know what he was talking about. But the real author, the Holy Spirit, was being overlooked. Later excavations have revealed that Nineveh had many suburbs, three of which are mentioned along with Nineveh in Gen. 10:11, 12. One first-century writer (Diodorus of Sicily) justifiably says that Nineveh was a quadrangle measuring about sixty miles in circuit—a "great city" indeed! 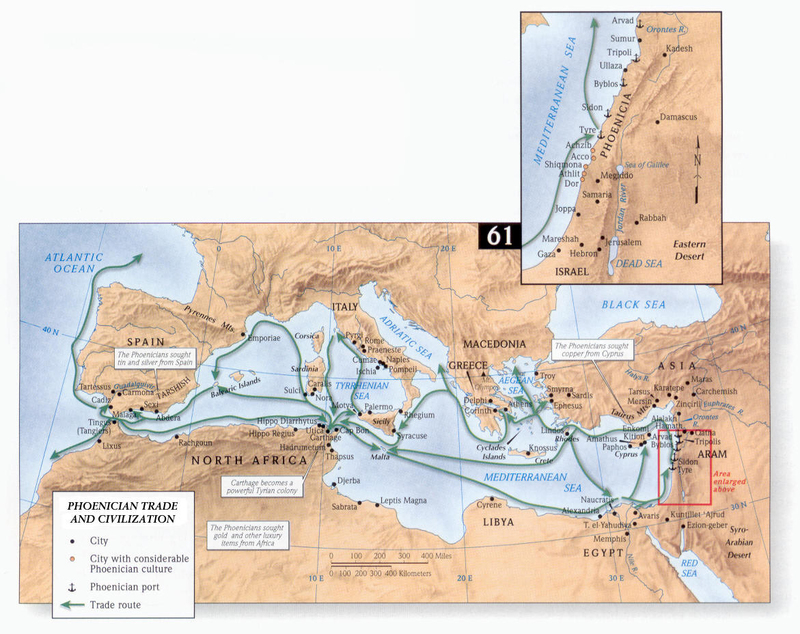 The other city mentioned, Tarshish, was known to Solomon and was the furthest extent of the Phoenician trading empire (see Map of Phoenician Trade) in Jonah's time. While nobody doubts its actual existence, nobody really knows exactly where it was. Some scholars identify it with Carthage, but more likely it was on the southern coast of Spain, at the western extreme of the Mediterranean, the farthest early ships could venture without braving the great storms of the Atlantic Ocean. At any rate, its role in the story of Jonah is quite clear. It was the farthest end of the civilized world. 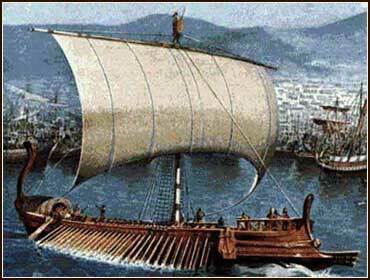 An early Phoenician ship, such as the one Jonah might have taken.